Students must be senior golfers who are varsity competitors on their team. Students must be college-bound and show acceptance into college. Students must exhibit excellent sportsmanship. Students must provide two letters of recommendation from a non-relative. Students must submit the Expected Family Contribution (EFC) confirmation page from their FAFSA application. The full FAFSA and family financial information must be provided if requested from TLF. This scholarship is a one-year award and is not renewable. 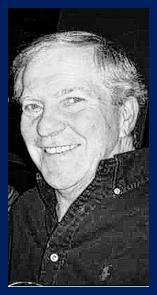 The Thomas P. Kilduff Memorial Fund was established by family and friends of Thomas P. Kilduff to honor his memory. Tom loved sports and loved sportsmanship even more. This scholarship helps defray the cost of books and other college-related expenses for qualified graduating Wyoming Valley Conference public high school senior golfers, pursuing higher education, who exemplify Tom’s competitiveness, and most importantly, his sportsmanship.